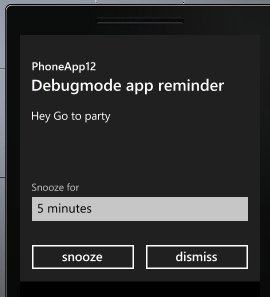 In this post we will see the way to create Alarm and Reminder in Windows Phone. 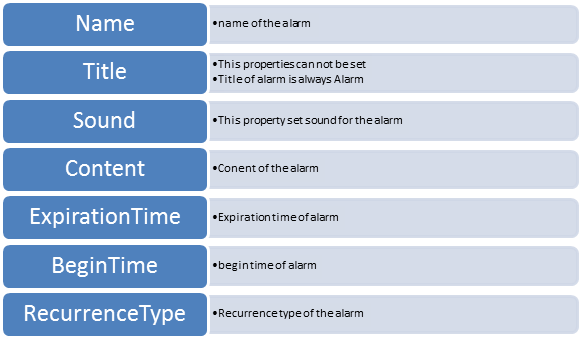 Alarm can be created using the Alarm class. 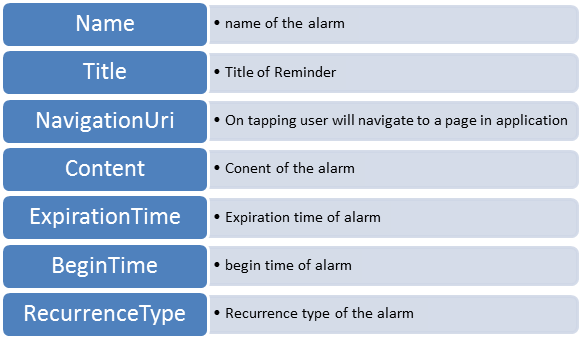 Alarm class is part of Microsoft.Phone.Scheduler namespace. 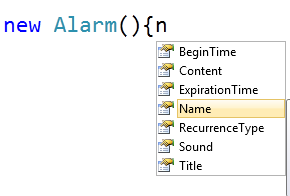 Alarm class takes name of the alarm as the input parameter of the constructor. Name of the alarm must be unique within the application. You can find explanations of properties are as below. Alarm class is inherited from ScheduleNotification class. Some of the properties are of base class. Best practice to give name of alarm as a GUID. Since name of the alarm must be unique in the application and it is not visible to the user so it should be given the name as GUID. Reminder can be created using Reminder class. It is inherited from ScehduleNotification class. Title of the reminder can be set. Custom sound is not supported in reminder. All reminder plays same sound. Reminder can be navigated to a specific page on tapping by the user. This was not supported in Alarm. On tapping user will be navigated to Page1.xaml. 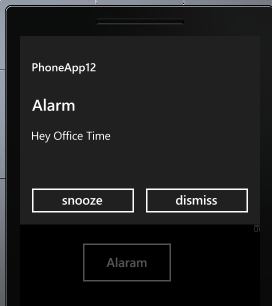 This is how you can create and schedule Alarm and Reminder in Windows Phone. I hope this post is useful. Thanks for reading.